Thats all. Game finished - FC Porto 1, Liverpool 4. Second Half ended - FC Porto 1, Liverpool 4. Shot blocked. Mohamed Salah - Liverpool - shot with left foot from outside the box is blocked. Assist - Jordan Henderson. New attacking attempt. Mohamed Salah - Liverpool - shot with left foot from outside the box is saved by goalkeeper in the centre of the goal. Assist - James Milner with a cross. Corner - Liverpool. Conceded by Alex Telles. Missed chance. Sadio Mané - Liverpool - shot with right foot from the centre of the box missed. Assist - Jordan Henderson. Missed chance. Mohamed Salah - Liverpool - shot with left foot from outside the box is high and wide to the right from a free kick. 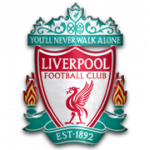 Joseph Gomez - Liverpool - won a free kick in attack. Georginio Wijnaldum - Liverpool - won a free kick in defence. Goal! FC Porto 1, Liverpool 4. Virgil van Dijk - Liverpool - shot with the head from few metres to the centre of the goal. Assist - Sadio Mané with a head after corner. Fabinho - Liverpool - won a free kick in attack. Missed chance. Tiquinho Soares - FC Porto - shot with right foot from outside the box is close, but missed to the left. Substitution - FC Porto. Bruno Costa for Yacine Brahimi. Jordan Henderson - Liverpool - won a free kick on the right wing. Substitution - FC Porto. Fernando for Jesús Manuel Corona. Goal! FC Porto 1, Liverpool 3. Roberto Firmino - Liverpool - shot with the head from the centre of the box to the centre of the goal. Assist - Jordan Henderson with a cross. Virgil van Dijk - Liverpool - won a free kick in defence. Missed chance. Sadio Mané - Liverpool - shot with right foot from the centre of the box is close, but missed. Assist - Jordan Henderson with a through ball following a fast break. Substitution - Liverpool. Jordan Henderson for Andrew Robertson. Joseph Gomez - Liverpool - won a free kick in defence. Goal! FC Porto 1, Liverpool 2. Eder Militão - FC Porto - shot with the head from the centre of the box to the centre of the goal. Assist - Alex Telles with a cross after corner. Corner - FC Porto. Conceded by Joel Matip. Pepe - FC Porto - won a free kick in defence. Substitution - Liverpool. Joseph Gomez for Trent Alexander-Arnold. Goal! FC Porto 0, Liverpool 2. Mohamed Salah - Liverpool - shot with left foot from the centre of the box to the left corner. Assist - Trent Alexander-Arnold with a through ball following a fast break. Offside - FC Porto. Tiquinho Soares with a pass, however Felipe is in offside. Jesús Manuel Corona - FC Porto - won a free kick in attack. New attacking attempt. Héctor Herrera - FC Porto - shot with right foot from outside the box is saved in the left corner. Assist - Yacine Brahimi. Missed chance. Mohamed Salah - Liverpool - shot with the head from the centre of the box is close, but misses the top left corner. Assist - Sadio Mané. Missed chance. Tiquinho Soares - FC Porto - shot with the head from the centre of the box missed. Assist - Héctor Herrera with a cross. Danilo Pereira - FC Porto - won a free kick on the left wing. Eder Militão - FC Porto - won a free kick in defence. Corner - FC Porto. Conceded by Fabinho. Corner - Liverpool. Conceded by Pepe. Substitution - Liverpool. Roberto Firmino for Divock Origi. Substitution - FC Porto. Tiquinho Soares for Otávio. Second Half starts FC Porto 0, Liverpool 1. 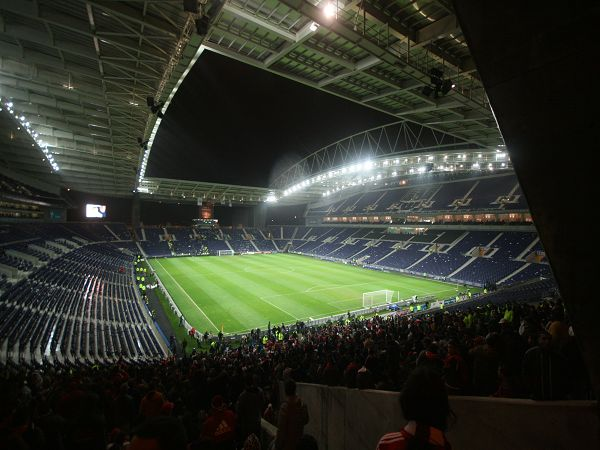 First Half ended - FC Porto 0, Liverpool 1. Missed chance. James Milner - Liverpool - shot with right foot from the centre of the box missed to the left. Assist - Trent Alexander-Arnold with a cross. Mohamed Salah - Liverpool - won a free kick on the left wing. Sadio Mané - Liverpool - won a free kick in defence. New attacking attempt. Jesús Manuel Corona - FC Porto - shot with left foot from the right side of the box is saved by goalkeeper in the centre of the goal. Assist - Héctor Herrera. Pepe - FC Porto - receive yellow card for a foul. Divock Origi - Liverpool - won a free kick in defence. Sadio Mané - Liverpool - receive yellow card for a foul. Eder Militão - FC Porto - won a free kick on the right wing. New attacking attempt. Yacine Brahimi - FC Porto - shot with right foot from the centre of the box is saved in the left corner. Assist - Eder Militão. Delay in match - FC Porto Video Review. Goal! FC Porto 0, Liverpool 1. Sadio Mané - Liverpool - shot with right foot from few metres to the centre of the goal. Assist - Mohamed Salah. Missed chance. Mohamed Salah - Liverpool - shot with right foot from the centre of the box missed. Assist - Georginio Wijnaldum. Missed chance. Mohamed Salah - Liverpool - shot with left foot from the left side of the box missed. Assist - Andrew Robertson. Offside - Liverpool. Alisson with a pass, however Sadio Mané is in offside. Offside - FC Porto. Otávio with a pass, however Yacine Brahimi is in offside. Shot blocked. Héctor Herrera - FC Porto - shot with left foot from outside the box is blocked. Assist - Jesús Manuel Corona. New attacking attempt. Alex Telles - FC Porto - shot with left foot from outside the box is saved in the right corner. Shot blocked. Yacine Brahimi - FC Porto - shot with right foot from the centre of the box is blocked. New attacking attempt. Moussa Marega - FC Porto - shot with right foot from the right side of the box is saved in the left corner. Mohamed Salah - Liverpool - won a free kick in attack. Trent Alexander-Arnold - Liverpool - won a free kick in defence. Missed chance. Eder Militão - FC Porto - shot with right foot from outside the box goes high. Shot blocked. Pepe - FC Porto - shot with right foot from outside the box is blocked. Assist - Moussa Marega with a head. Missed chance. Moussa Marega - FC Porto - shot with left foot from the centre of the box missed to the left. Assist - Alex Telles with a cross. Missed chance. Moussa Marega - FC Porto - shot with the head from the centre of the box missed. Assist - Jesús Manuel Corona with a cross. Missed chance. Danilo Pereira - FC Porto - shot with the head from the centre of the box missed to the left. Assist - Alex Telles with a cross after corner. Corner - FC Porto. Conceded by Andrew Robertson. Jesús Manuel Corona - FC Porto - won a free kick in defence. Missed chance. 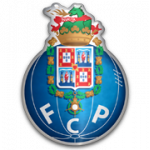 Yacine Brahimi - FC Porto - shot with left foot from outside the box missed to the left. Assist - Danilo Pereira. New attacking attempt. Moussa Marega - FC Porto - shot with right foot from the centre of the box is saved in the left corner. Assist - Pepe. Héctor Herrera - FC Porto - won a free kick in attack. New attacking attempt. Moussa Marega - FC Porto - shot with right foot from outside the box is saved by goalkeeper in the centre of the goal. Offside - Liverpool. Fabinho with a pass, however Sadio Mané is in offside. Missed chance. Jesús Manuel Corona - FC Porto - shot with left foot from the right side of the box is very close to the goal.